Welcome to Kricklewood Farm. 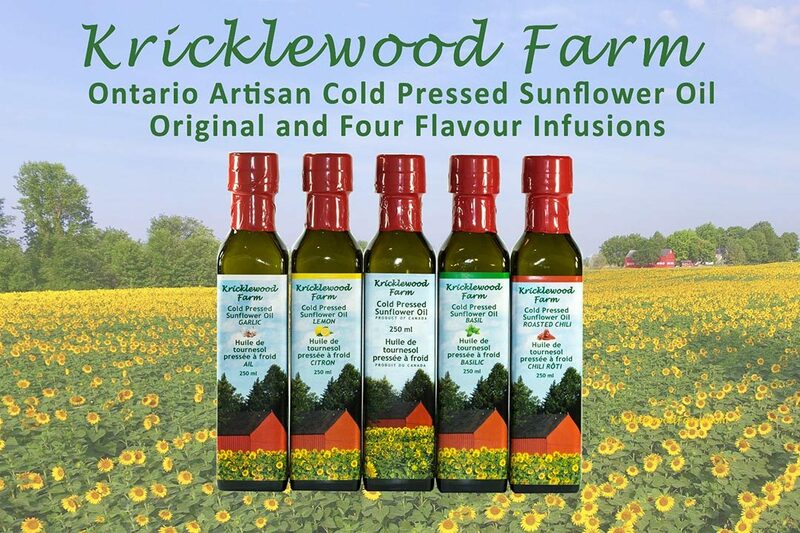 We are an Eastern Ontario grower and presser of a delicious cold pressed sunflower oil starting with a non-GMO sunflower seed and farming with all natural methods. No herbicides or pesticides are used. Why Sunflower Oil? Sunflower oil is native to North America. We grow and process a seed variety which results in a heart healthy oil. It is a great addition to the pantry for those who enjoy its nutty, buttery flavour added to any dish and strive to support local food producers.